In honor of the Thanksgiving holiday, today we're featuring a guest post from Mrs. Survival Gardener. 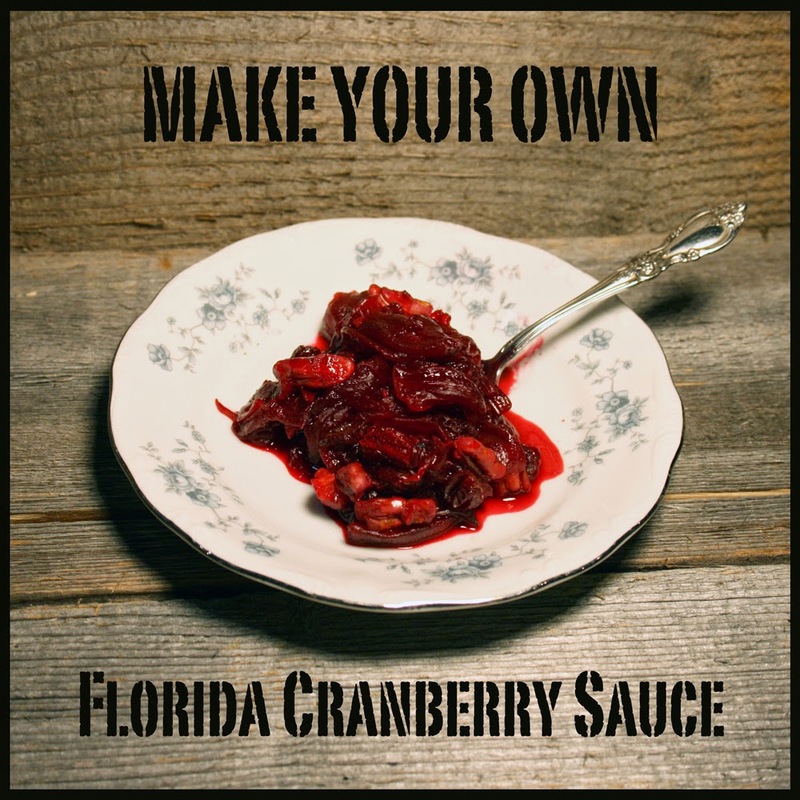 This Florida cranberry sauce (or relish, depending on what you'd like to call it) recipe is an excellent way to take a local, homegrown organic crop and substitute it for a faraway import from the north. 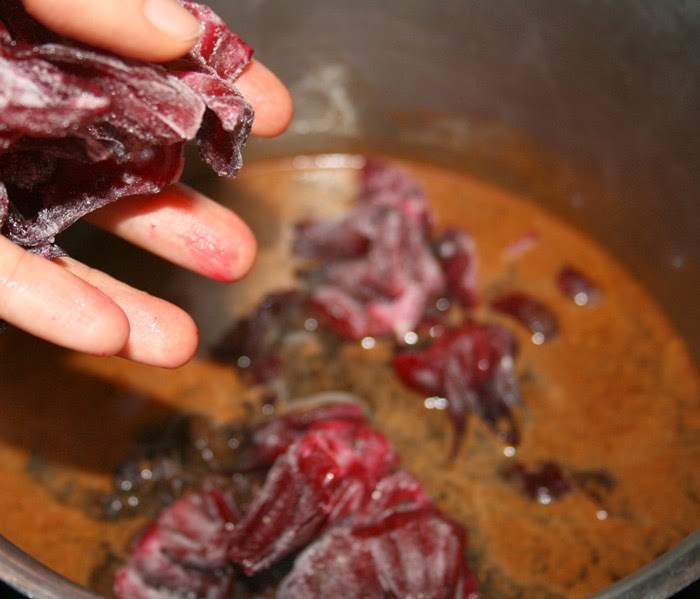 If you're interested in learning more about growing, harvesting and processing Florida cranberries (also known as Jamaican sorrel) click here. For now, let's get cooking! When Thanksgiving comes around each year, I like to include as many things from our own homestead as possible. 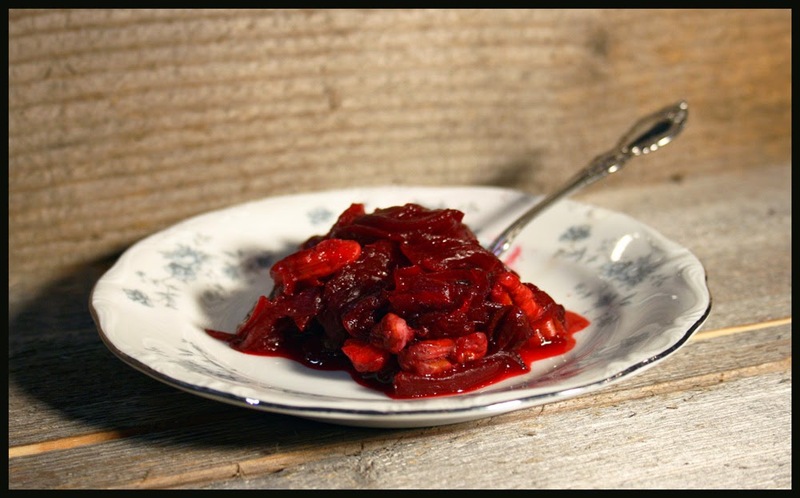 When we first grew Florida cranberries it seemed like a natural fit to substitute them for the real deal in my Mom's cranberry relish recipe. The first time I served it to the extended family, they all had to be told it showcased Florida cranberries--that's how closely these strange fruits resemble their namesake. Here I've doubled the recipe to feed a crowd, but it is easily halved. Cook this for a little bit until the sugar dissolves. These were in my freezer, all ready to go--meaning the pods were cut out and discarded and the calyxes saved (remember - you can visit their plant profile to see that process). This is the cranberry part! Don't be confused by the picture. I forgot that in years past I chopped these up before putting them in the pot. After I took this picture, I had to pull them out, chop them up, and throw them back in. It's much easier to do that first. In the words of the Pioneer woman, "don't be like me." 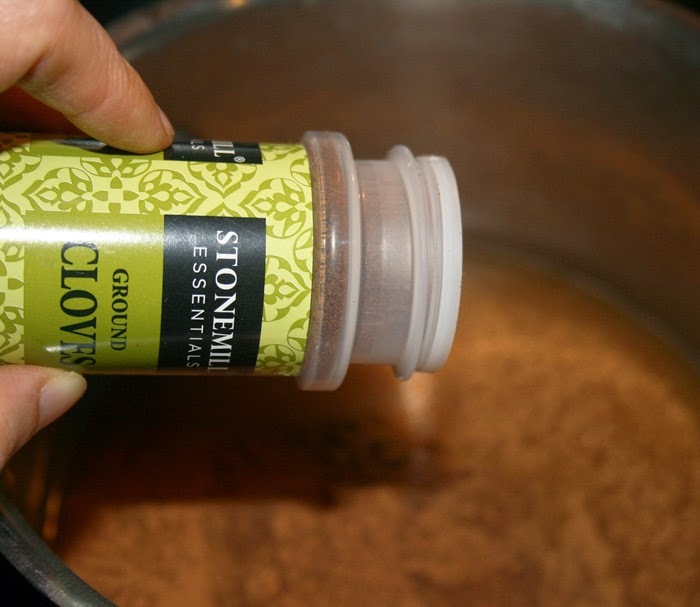 Bring this to a boil and reduce the heat and then cook for a few minutes. I don't have a picture of it, but at this point, you add some chopped pecans. Then just chill it till you're ready to serve your meal. 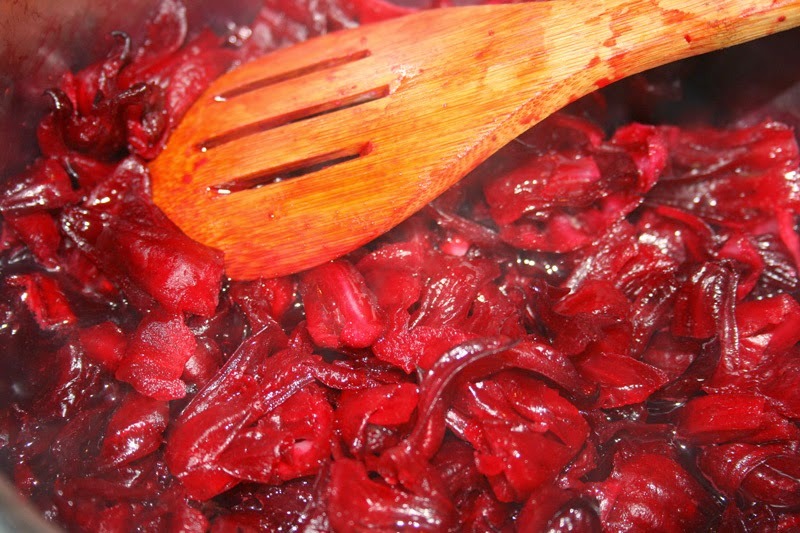 I like to make Florida cranberry relish the day before as the flavors just get better the next day. One year I made extra, mixed it with cream cheese and we ate it on crackers as an appetizer. 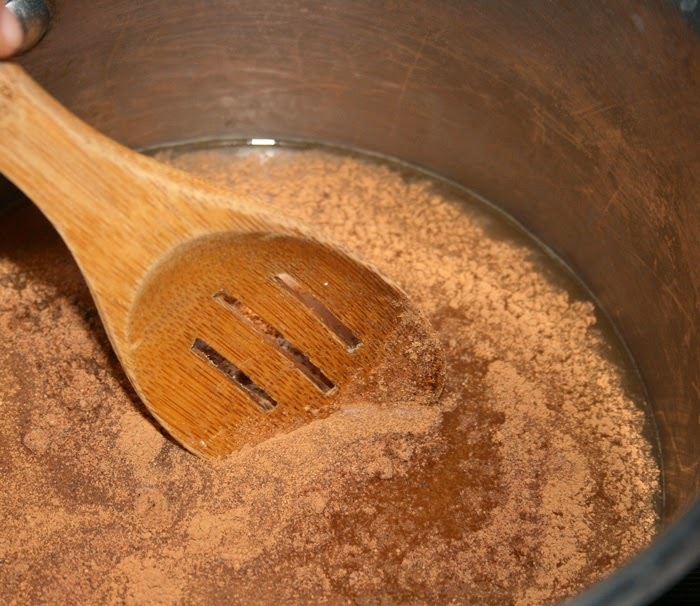 In a saucepan, combine juice, sugar, cinnamon, nutmeg and cloves. 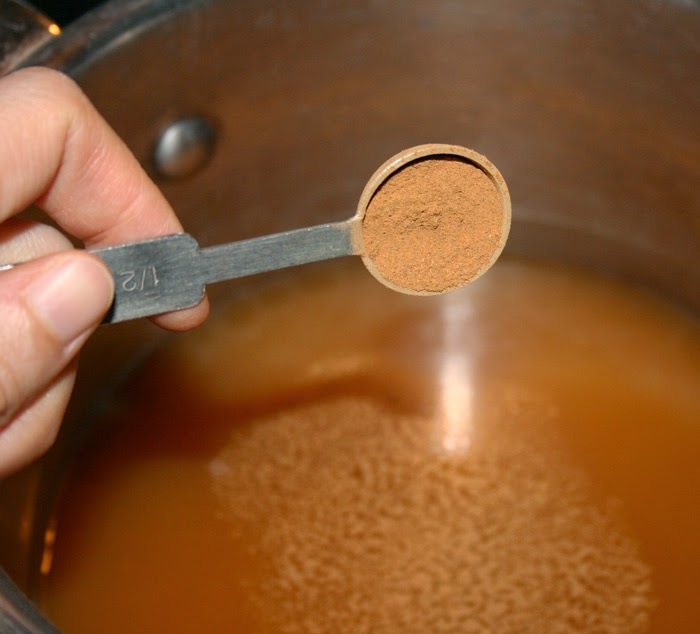 Cook over medium heat, stirring frequently until sugar is dissolved. 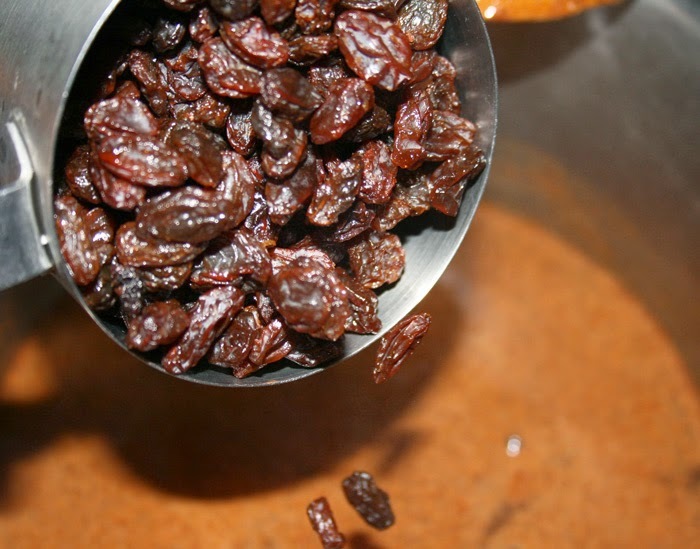 Add Florida cranberries and raisins, bring to a boil. Reduce heat, simmer 3-4 minutes. Remoce from heat, stir in nuts. Chill for several hours. If you try this recipe, please let us know what you think! Is it 24 oz by volume or weight? Thanksgiving! Excellent! I will add this plant to my food forest wish list.